Malaysia’s PM Najib Razak has said the communications systems of missing Malaysia Airlines flight MH370 were deliberately disabled. According to satellite and radar evidence, the plane then changed course and could have continued flying for a further seven hours. The plane’s last signal came about seven and a half hours after takeoff, meaning it could have ended up as far as Kazakhstan or deep in the southern Indian Ocean, PM Najib Razak said Saturday. 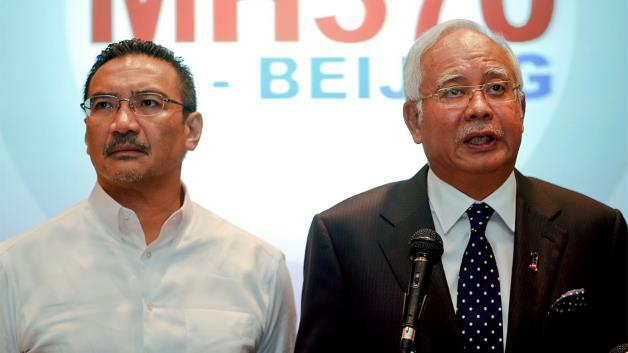 Najib Razak’s statement confirmed days of mounting speculation that the disappearance of the Malaysia Airlines Boeing 777 with 239 people on board on March 8 was not accidental, and underlines the massive task for searchers who already been scouring vast areas of ocean. The Kuala Lumpur-Beijing flight last made contact with air traffic control as it headed east towards the South China Sea, about one hour after take-off. Najib Razak told a news conference that new satellite evidence shows “with a high degree of certainty” that the aircraft’s communications systems were disabled just before it reached the east coast of Malaysia. A satellite was able to pick up a signal from the plane for some seven hours after it lost radar contact, although it was unable to give a precise location, Najib Razak said. Najib Razak said that in light of the new evidence, the investigation had “entered a new phase” and would focus on the crew and passengers on board. Addressing reports that the plane had been hijacked, he said only “we are still investigating all possibilities as to what caused MH370 to deviate”. An extensive search of the seas around Malaysia – involving 14 countries, 43 ships and 58 aircraft – have proved fruitless. Najib Razak’s news conference goes some way to addressing the speculation that had begun circulating in local media that the plane had been hijacked and had somehow landed intact.